AMES, Iowa — Three teams of recent Iowa State University College of Design graduates are among five finalists in the student category of the 14th HD Awards competition. This national competition, sponsored by Hospitality Design magazine, recognizes outstanding design projects in 23 categories related to the hospitality industry. The teams will be honored and the winning project announced at the HD Awards ceremony Wednesday, June 6, in New York City. Winners and finalists in each category will be published in the June issue of Hospitality Design. 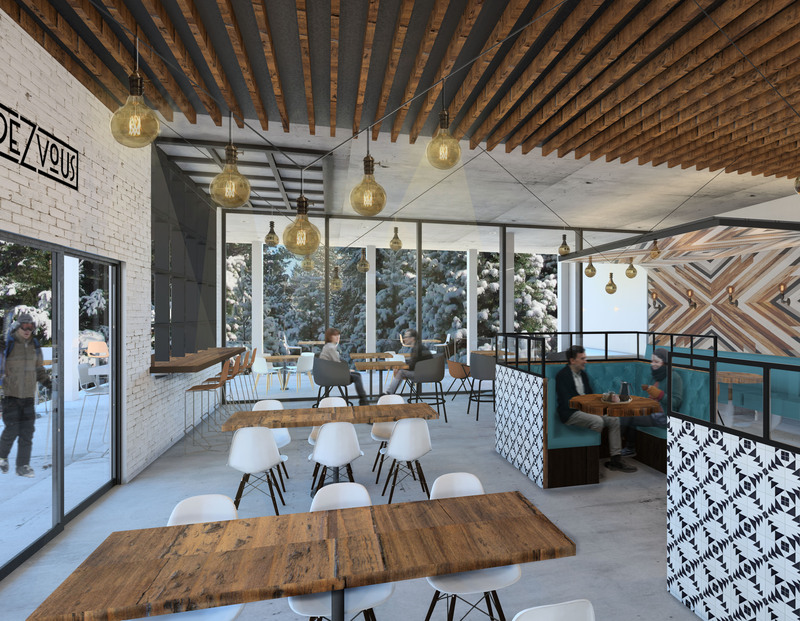 Bryan and Shodeen developed their project in the spring 2017 interior design senior studio taught by associate professor (now emerita) Çigdem Akkurt. 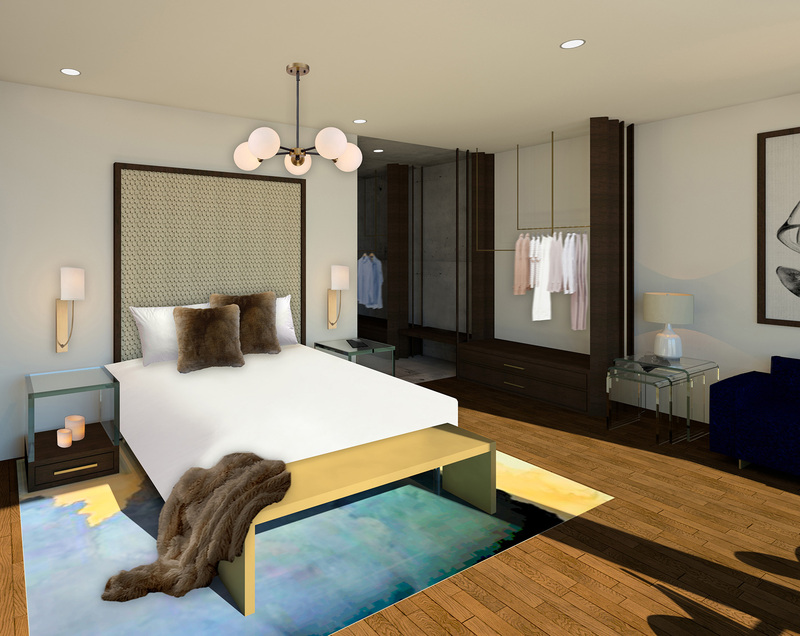 Students were tasked with designing a boutique hotel with a lobby, restaurant, spa, exercise facility, event space and multiple guest room types, including standard queen and king rooms and suites. They were able to choose their project’s location. “Both Holland and I have a strong passion for skiing, which led to the design of ‘Arrowhead,’ a luxury ski resort at the foot of the Teton Range in Jackson Hole, Wyoming,” said Bryan, now an interior designer with Engler Studio Interior Design in Edina, Minnesota. 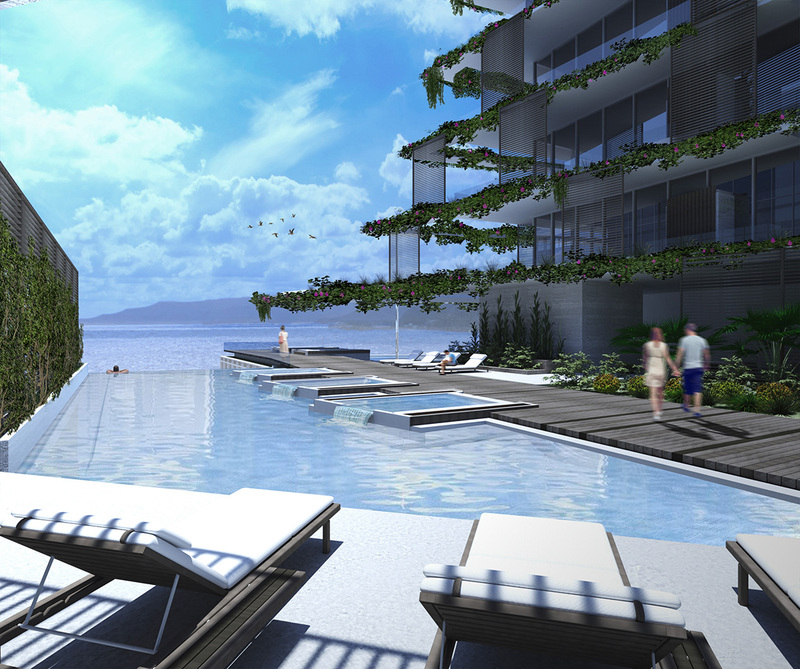 The team added a second restaurant, a pool and a private cabin option to the required elements in their design. The spaces all share the same architectural language and a palette of cool blues and warm neutrals found in the Wyoming landscape. 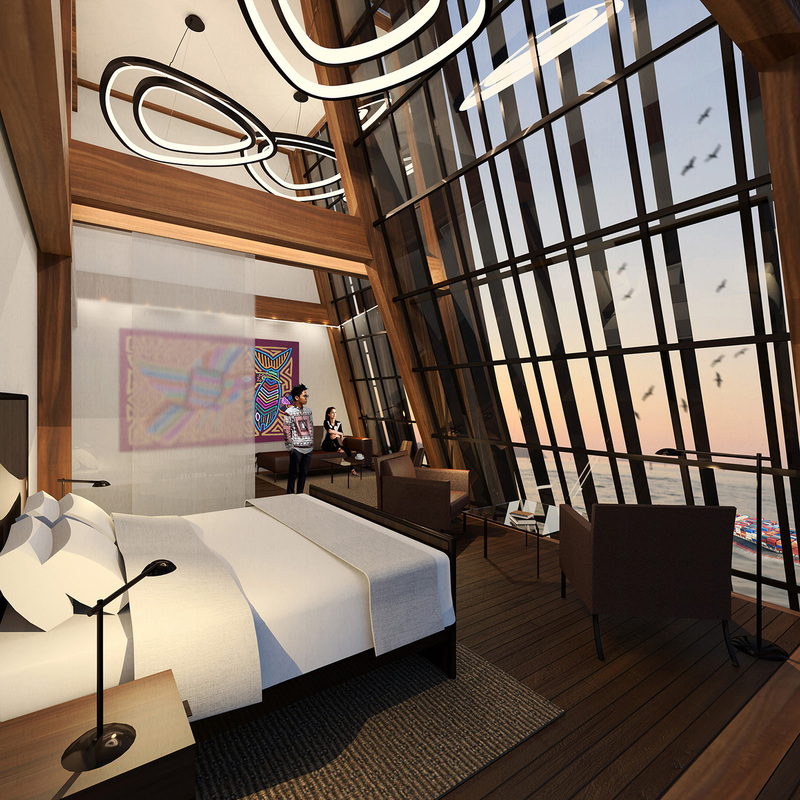 All rooms were designed to have the mountain view as a focal point. The students incorporated materials such as concrete and metal to provide a contrast to the natural surroundings, with wood and stone accents. 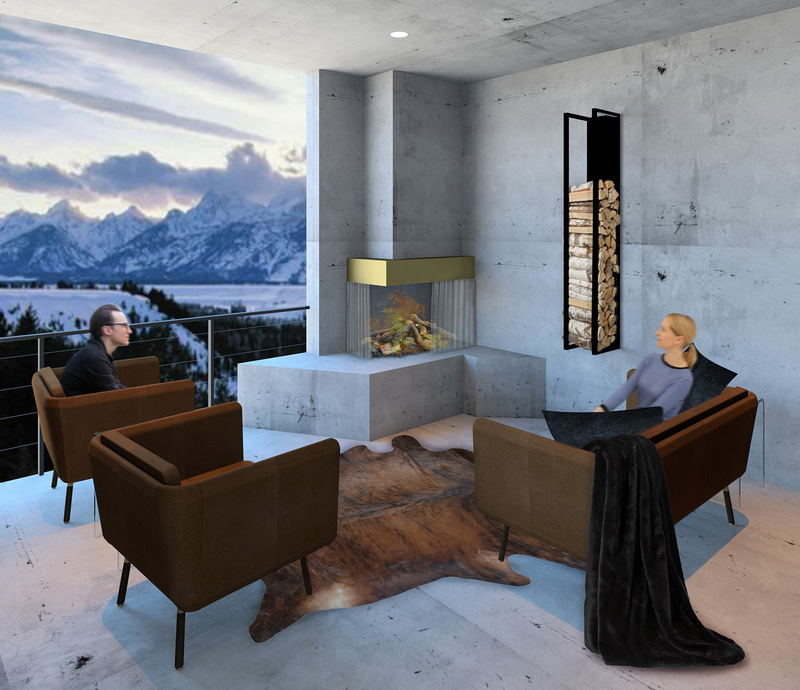 “Through our research, we learned that few hotels in Jackson Hole have taken a modern design approach, which also influenced our choice of materials and architectural style throughout the resort,” said Shodeen, now a designer with Simeone Deary Design Group in Chicago. Both “The Isthmus” and “Rainforest Hotel and Spa” were developed in the fall 2017 Panama integrative design studio taught by Lee Cagley, professor and chair of the Department of Interior Design, and Morrill Professor Thomas Leslie, the Pickard Chilton Professor in Architecture. 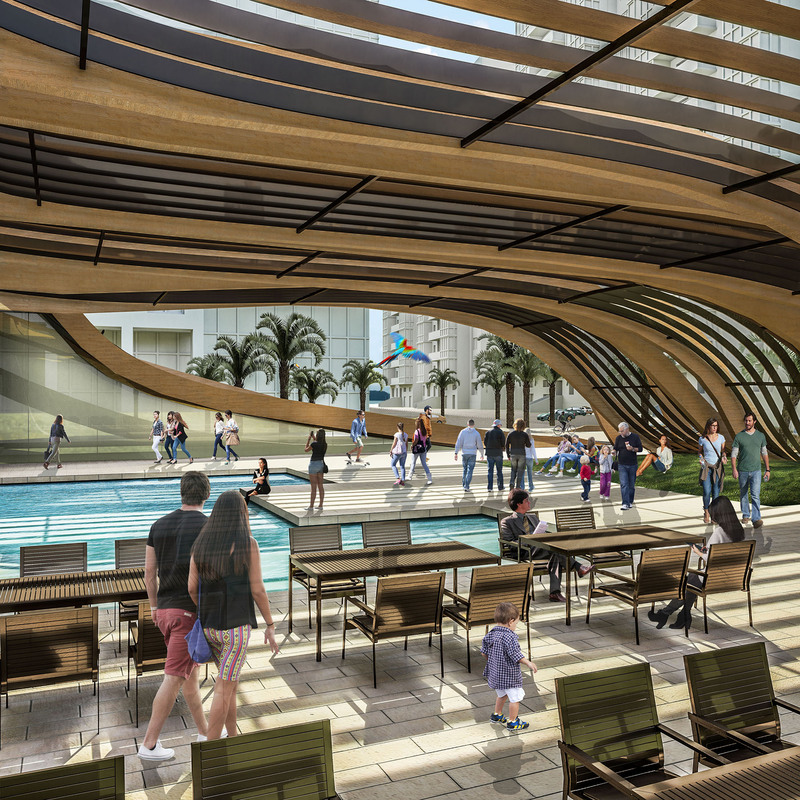 Cagley and Leslie asked students to design a high-rise luxury hotel, spa and convention center for an entertainment district on the Amador Peninsula at the Pacific entrance to the Panama Canal. Among the requirements were to make use of local labor and materials, incorporate sustainable elements and devote at least 40 percent of the site to rainforest restoration or to highly biodiverse habitat. A majority of the class traveled to Panama last September to visit the proposed project site and learn more about Panamanian culture, the canal, the rainforest, existing luxury hotels and local efforts to preserve and restore biodiversity. 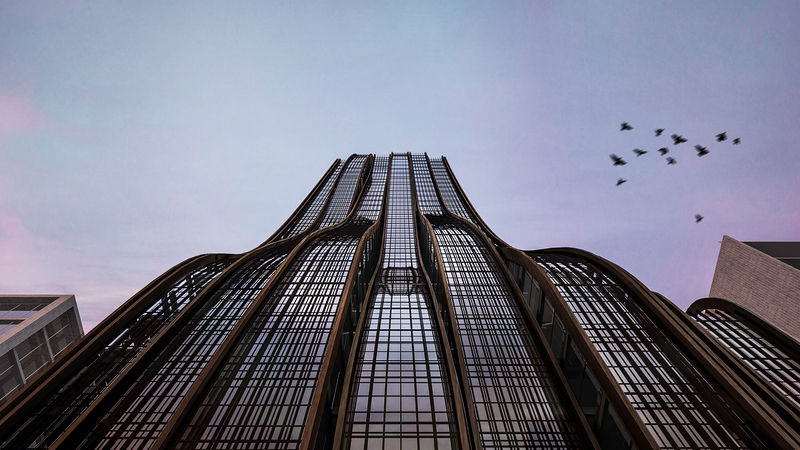 He and Barron chose locally-sourced timber as the primary structural material for their undulating 38-story hotel instead of the typical concrete, and they specified mahogany finishes on the interior to make the spaces inviting for guests. 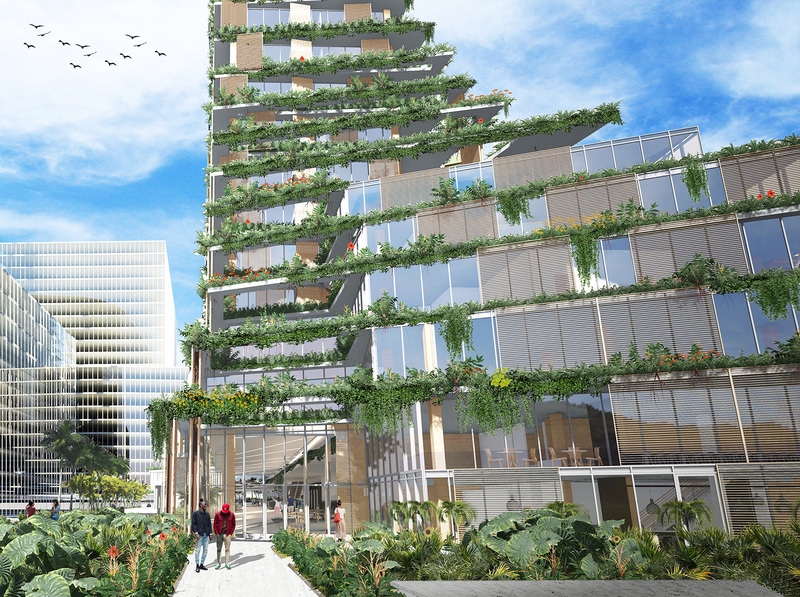 Instead of a massive parking garage, the team also proposed innovative, vertical automated parking towers, which allowed them to open up the site and incorporate extra public green space. “Now that sustainability is more of an issue, it’s a good time to experiment. 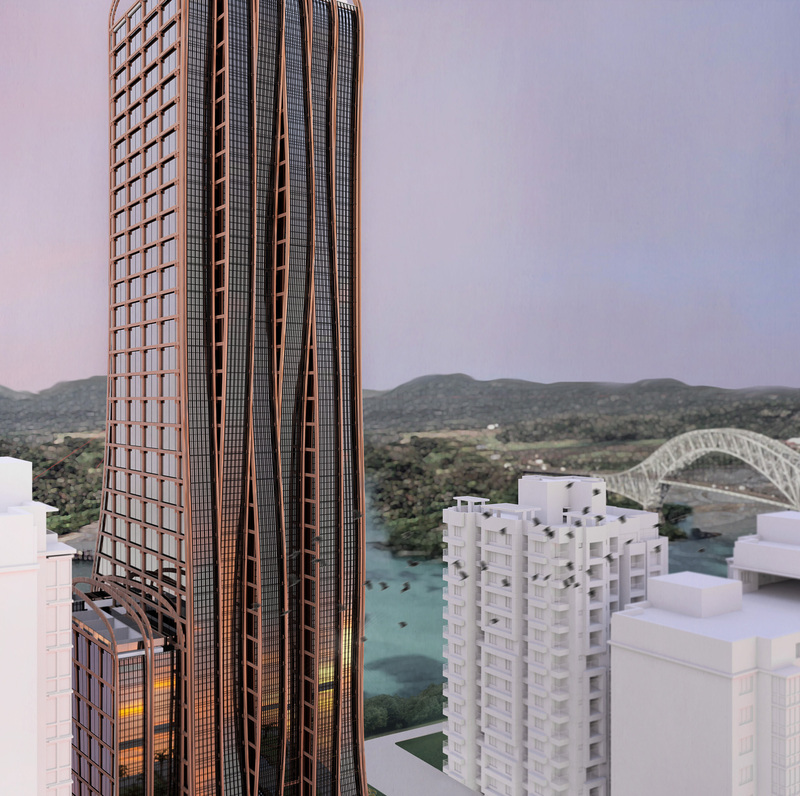 There aren’t many heavy-timber skyscrapers, but we found studies showing something of the size and scale we proposed would work. We worked hard to ensure it would function well and be buildable,” Lechowicz said. 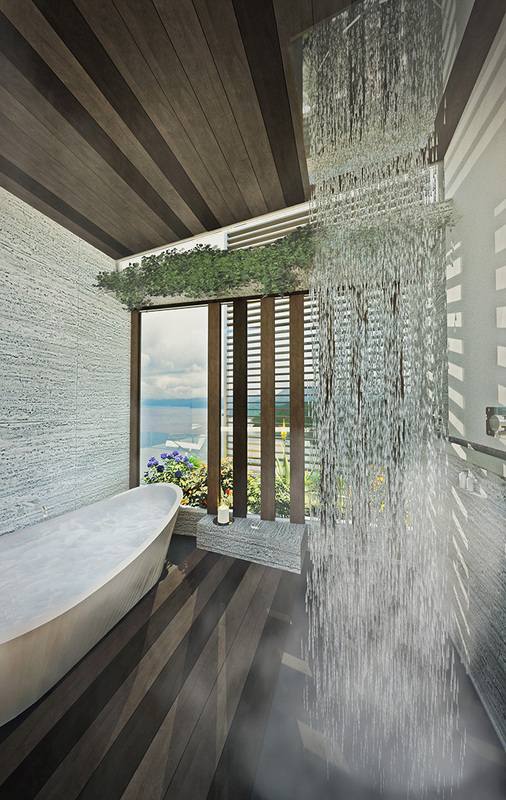 Providing guests with a rainforest experience and the ability to adjust their individual spaces to suit their needs were driving forces behind the design by Christensen, Confalonieri and Peterson. “The primary goal was to create a high-rise personal spa,” said Christensen, now an architectural designer with Shive-Hattery in Iowa City. All guest rooms have shower units “at the intersection of inside and outside,” he said, with adjustable wooden louvers, clerestory windows and planters that make up the building façade. 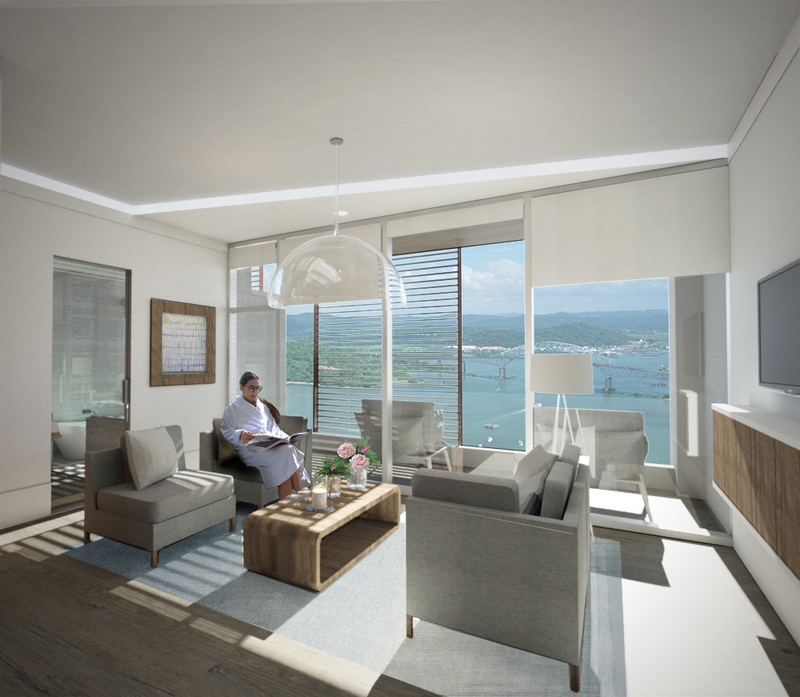 These elements allow for privacy and climate control as well as natural light and views. Water and vegetation are key themes that tie the design together, said Confalonieri, now an architectural designer with Hezner in Libertyville, Illinois. For instance, “the green spaces are all connected by piping to collect graywater, which is stored under the plaza and used to flush toilets. Plants provide fragrance and shading throughout and a microclimate at the base of the hotel to create a rainforest feel for people in the city,” he said.